Ahorrarás $339.09 más (90%) si compras la edición Kindle. Harry Cardwell, 21 year-old shepherd from the border hills, is already one of the 'veterans' of the Somme battlefield. Returning from leave Harry confronts a burly Sergeant auctioning off a tin of very intimate love-letters and photographs found in a shelled dug-out. Trying to protect the privacy of those letters, Harry buys them himself. A simple act of decency that is to have a lifetime of consequence. Annie is the nurse in the photographs. A former volunteer from New England with her doctor husband on a Harvard Medical Unit, she has ended up a widow on an ambulance train serving the Western Front. We are two strangers who meet in hell, she writes to Harry when he finally tracks her down. We come from two different worlds and have no mutual friends. Why should we hide anything from one another? Love Of An Unknown Soldier is the first volume of six in the Harry Cardwell Series. A Long Road Home, When War Came Again, First Snow of Winter, Last Snow of Winter as well as Alp Grüm are available as paperback or ebook. Comienza a leer Love of an Unknown Soldier en tu Kindle en menos de un minuto. John read History at Jesus College, Oxford where, with his school-friend from Tonbridge, David Sherwin, they wrote Crusaders, the original screenplay that later in the 1960's became Lindsay Anderson's award-winning film If... By that time John was also working on scripts with the English directors Seth Holt and Peter Duffell - and on a film version (never made) of I Claudius for Tony Richardson. After his early novels and biographies, John worked for many years in Italy (the country of his mother and his wife). He became, in his own words, 'a jobbing screen-writer for hire all round Europe' and was commissioned to produce original drama and adaptations for RAI and for Italian/German/French/Scandinavian co-productions, while continuing the research and writing of his own projects. From wartime childhood and through his student and working life, John has had a deep involvement in 20th Century history - always conscious how that history affected the four sides of his and his wife's families in England, Italy and Sicily. The Harry Cardwell series will carry history and fact, with fiction, from 1916 into the new Millennium. John and his wife now live in Rye, East Sussex, where he is actively involved in local politics. Their two daughters are both teachers, Isabel living in Barcelona with Toni and Francesco, Suzanne in Stockwell, south London with Marcus, Naira and Marco Salvatore. This novel is an utterly engaging account of the first world war. 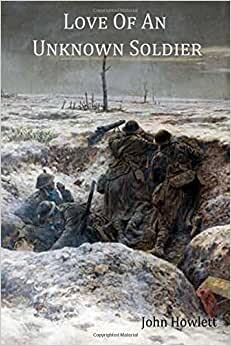 Perhaps no novel or film can make the reality of trench war clear to those of us so distanced from it, but this novel brings the reader as close to experiencing the horrors and desperation as it is reasonable to expect of any work of literature. The characters are believable and a strong desire to know what happens next is spun into the narrative. There were moments when the illustrative quality of the text was much to clear for comfort. If you loved "BIrdsong" you will love this.